I remember a few years back when I used to watch Pixiwoo and her makeup tutorials. I used to be a novice to it all. 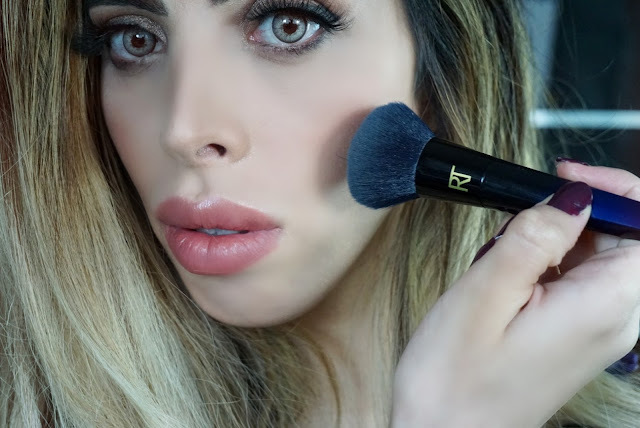 After her Youtube success of more than 2 million followers, her and her sister developed a luxurious makeup brush, sponge and applicator line in 2011. Real Techniques by Sam&Nic. I was lucky enough to get a chance to test their PowderBleu™Collection. This collection was designed to be used "exclusively with powders". It is the first of it's kind. You may not believe this but make-up brushes are the key to achieving a flawless finish, you could have the best makeup products but not applying them right won't get you the result you may be striving for. 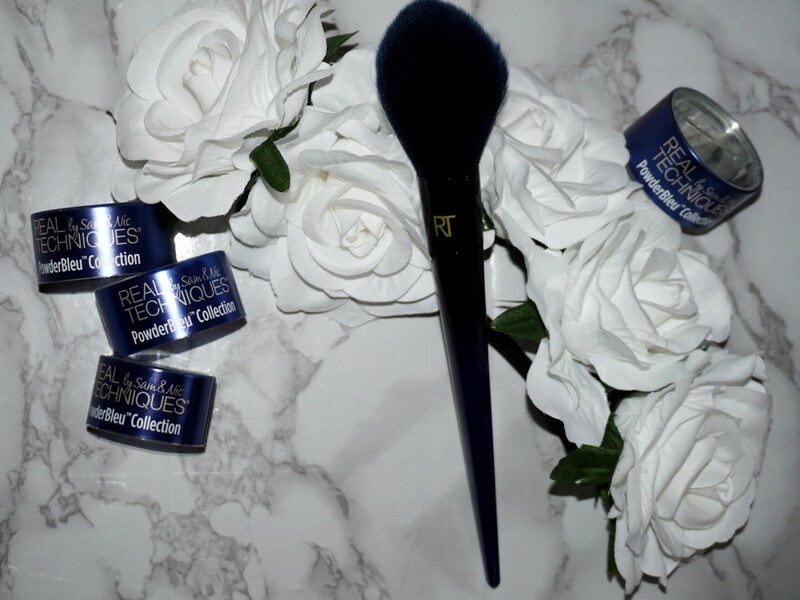 Were you aware that the rarest and softest bristles used in elite makeup brushes derives from blue squirrel hair? Well their FauxBleu™ Technology has been formulated to perform like blue squirrel hair, hence the bristles are of a synthetic nature. THESE BRUSHES ARE CRUELTY FREE. Yes, you heard right. I love brands that look into developing materials which do not derive nor test on animals. I cannot stress how luxurious these products look. I was sent out a beautiful Real Techniques by Sam & Nic black box from Influenster. 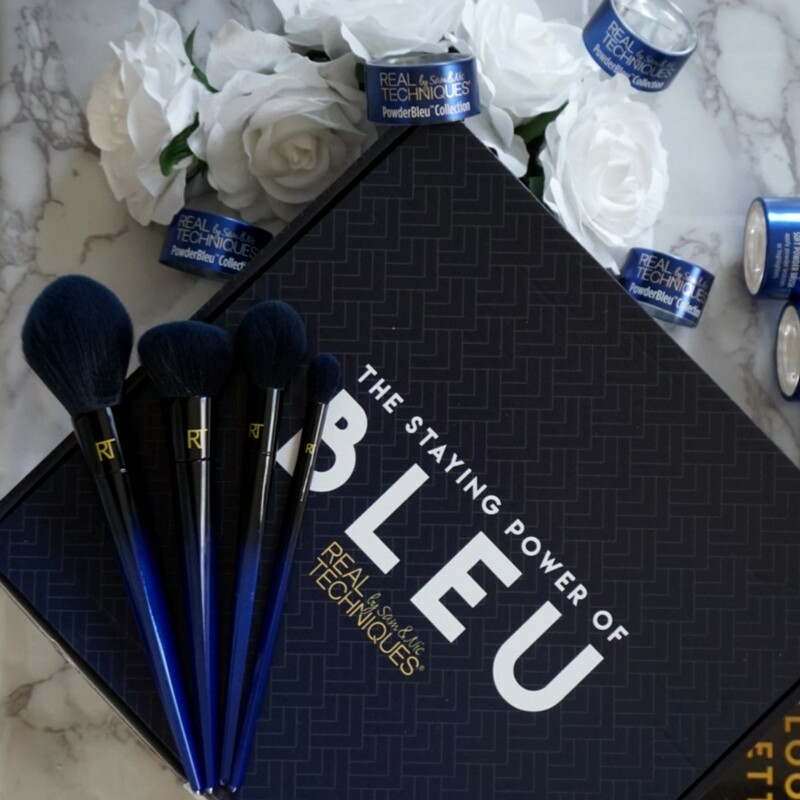 The box contained 4 brushes from their PowderBleu™ Collection. IT IS A NEW AND EXCLUSIVE COLLECTION WHICH YOU CAN ONLY PURCHASE EXCLUSIVELY AT BOOTS. I have created a YOUTUBE video for those that prefer to see them in action. The box design is sleek and looks already from the get go that you may well be experience a taste of decadent luxury. Once I opened it, I couldn't get over the choice of colours and from my picture you will see I am not even exaggerating. 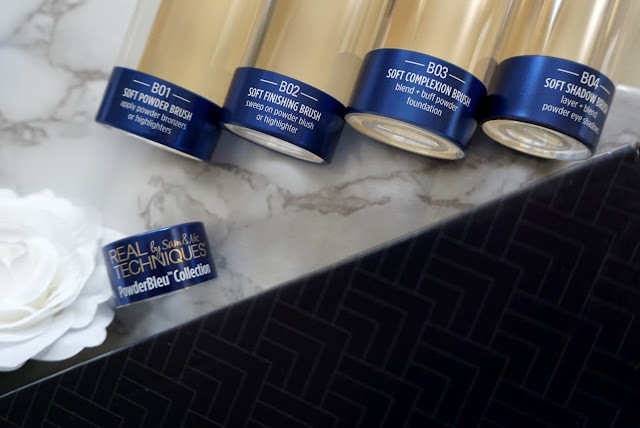 Each brush is individually contained within a plastic casing with the correspondent blue and gold colour scheme chosen for this series. I got worried when I saw a plastic tape holding the brush within the casing, but they've gone as far as using clear adhesive that does not leave glue residue on these beautiful brushes because who wants to be struggling removing the glue. The brushes handle from the base of the brush goes from a black colour to an ombre effect blue. 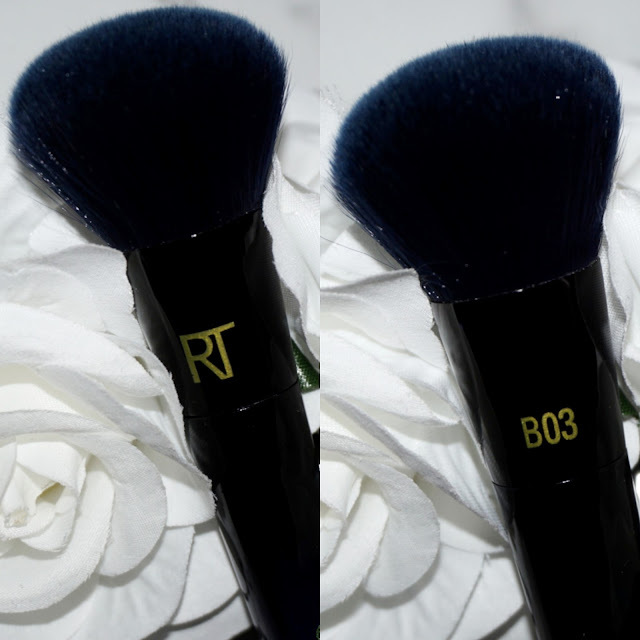 They all have the RT brand initials in gold at the front of the base of the brush and on the opposite side have the brush number in gold too. I find that extremely useful as you easily know what brush you are using without any struggle. The brush handles are not round but rather a four angled shape which gets thinner as it reaches the end of the brush. To be honest, my first impression was that the brush may well be natural in bristle consistency but no, these are actually synthetic and do not look synthetic. I still can't believe my eyes. The technology used to develop them to mimic blue squirrel hair has been successful. I cannot tell the difference. If I state they are soft , I may well admit that it is an understatement. "They are incredibly fluffy and feel beautiful when they touch your skin." 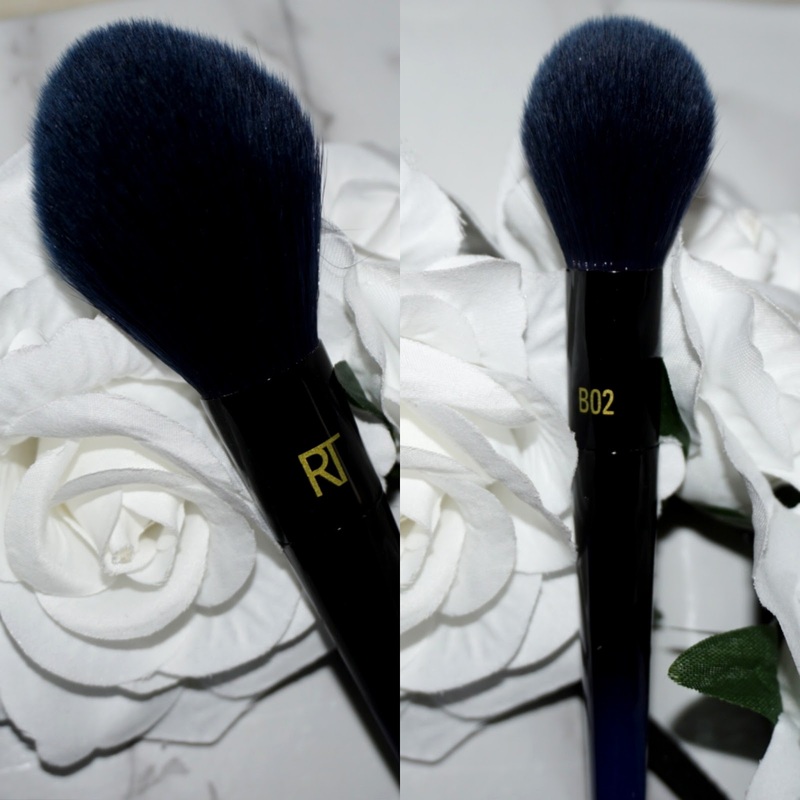 This Soft Powder Brush has a large tapered head. The design allows powder bronzers, highlighters or loose powder foundations to be applied flawlessly. The part that intrigues me the most is that it allows powders to be layered without disrupting the makeup you may have previously applied. 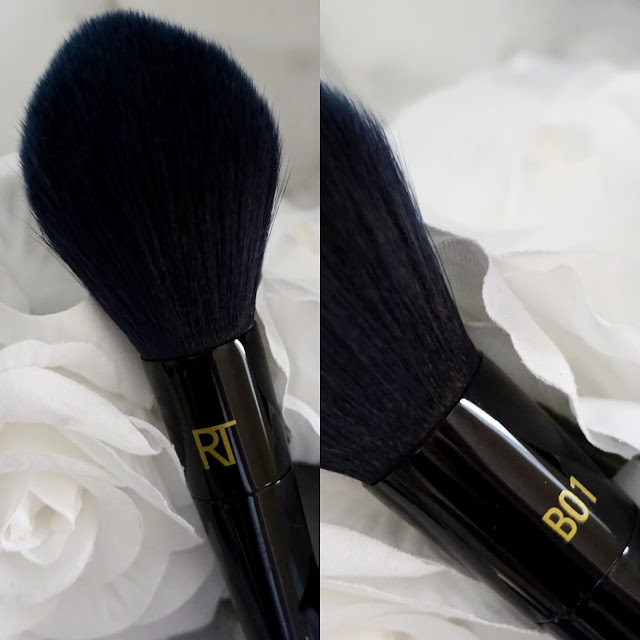 This soft finishing brush exhibits an extreme tapered head in order allow blush or highlighter to be gently sweeped across the skin or to contour the hollows of the cheeks. 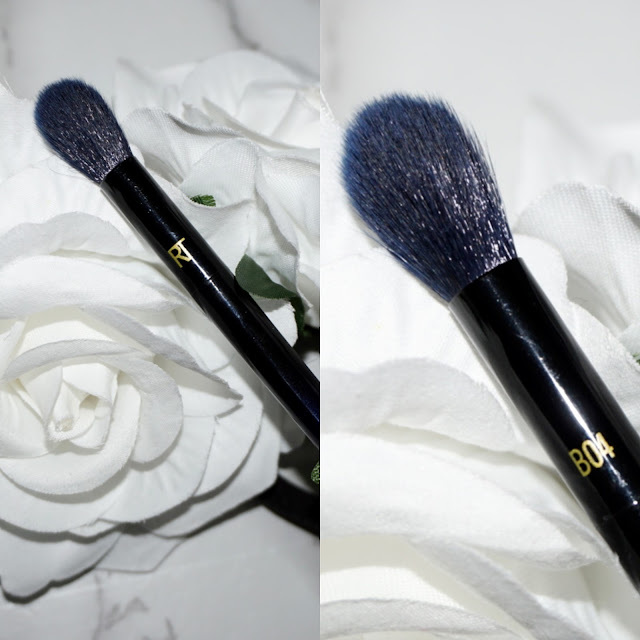 This soft complexion brush portrays a dense domed head to allow for a blending and buffing effect with powder foundation or to buff blush onto cheeks. Again like all the other brushes should not disrupt below makeup, build product efficiently with a shine-free coverage. 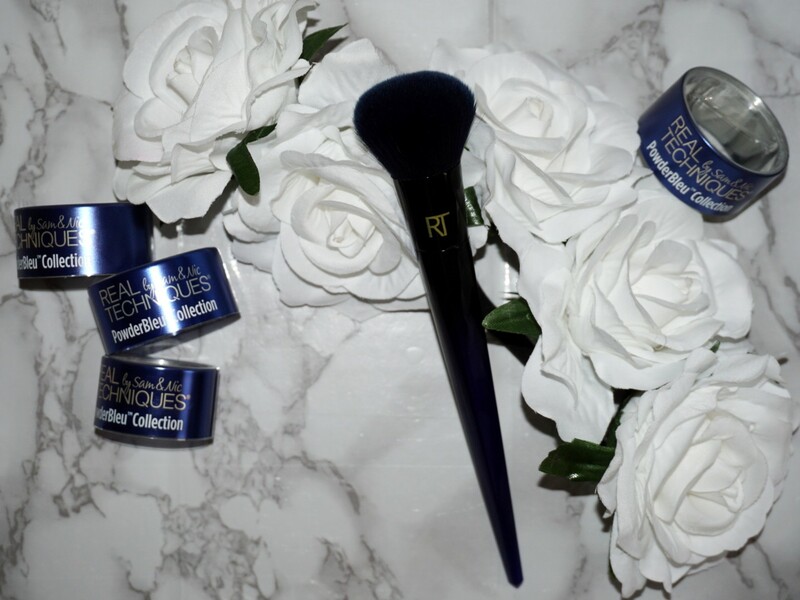 The tapered, precision head of The Soft Shadow Brush has a precision head of a tapered shape in order to lightly layer and blend powder shadows or even sweep highlighter on the nose, chin or brow bone. 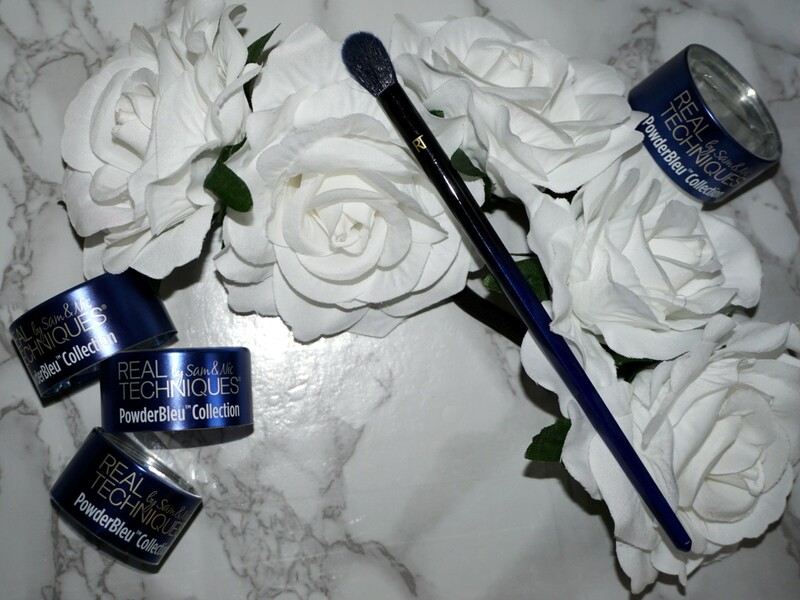 Renowned makeup artist have time and time again stated that natural brushes are best at picking up powder and easier during the application process. 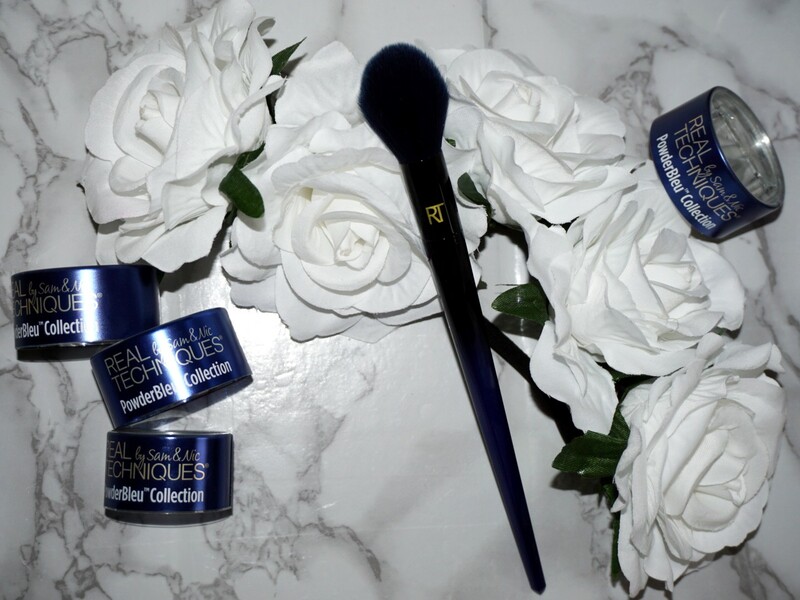 In this case thanks to the technology behind the design of this collection, there should be no noticeable difference in the brushes not being able to retain efficiently the product. I can't get over how beautiful and luxurious these brushes feel. I did find that they did do as well as they advertised with powders which makes it such a great item to invest in. Not only was the design of the product on point but so was it's function. I couldn't believe how the brush at first sight looked like natural derived brush but yet was synthetic. It is extremely soft but what what amazed me the most is how well it retained powder. It transferred the product without affecting other makeup layers. Performance of these brushes was beyond my expectations. They all worked so well and my finish was actually flawless which proves that makeup tools are A NECESSITY to make sure makeup looks on point. I can't get over how easy they were to use and get great results. If I had to chose a favourite it would be practically impossible because once you try these brushes you may not want to give any of them up. You won't believe how well the soft shadow brush blends those eye shadows, let alone all the other brushes. I highly recommend these brushes, not only can they UP your makeup game but they can make a wonderful gift. A large flat topped brush which is useful for a quick application of bronzer on your face and décolletage. This is a plush which allows just enough powder to be applied and also if you want to use it to lean on your face while using the soft shadow brush. Overall, I can't rave enough about these makeup brushes. What was your impression of these brushes? I'd love to know your thoughts below in the comment section. "I received these products complimentary from Influenster for testing purposes." They look wonderful. Look like a great brush. Your YouTube made it clear they ACTUALLY work and it's not like those other bloggers that pretend everything is great and then booooo you get screwed into purchasing it. Thank you for your honest reviews.